This hotel is strategically located in the historical centre right next to the Termini train station. This modern design hotel is surrounded by a private garden and offers a relaxed atmosphere. There is a plethora of restaurants and cafÃ©s in the immediate vicinity. The Opera, Santa Maria Church and the Coliseum are easily reached on foot. The Vatican, the Spanish Steps, the Trevi Fountain and the Piazza Navona are no more than 15 minutes away by public transportation. This is an ideal base from which to explore the Eternal City. 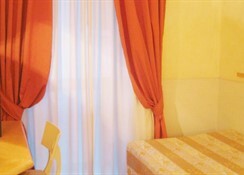 Hotel aphrodite is conveniently located in the historic center of rome, right next to the main railway station termini. Most sights are just a walking distance from hotel. Within approx 15 minutes by foot you could reach the colosseum, spanish steps or trevi fountain. Vatican city and st peter's square are approximately 15 minutes away on public transportation.Hotel aphrodite is one of the most affordable 4 star hotels in rome, which offers 62 air-conditioned guest rooms in a variety of sizes, making it the ideal place to stay. 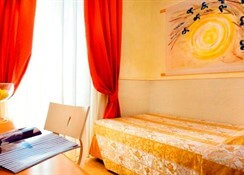 Its central location makes hotel aphrodite a perfect accommodation in rome for tourists and also for business travellers. 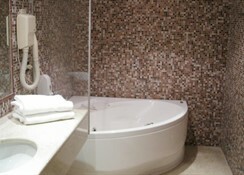 All rooms are tastefully decorated in pastel colours, with wooden parquet and en-suite bathrooms with marble mosaic. Individually controlled heating/air-conditioning keeps you comfortable in all seasons. Every morning complimentary continental buffet breakfast is served in our spacious breakfast bar. All rooms have modern furniture, tv, minibar, electronic safe, direct dial telephone and hair dryer. Most rooms are with free wireless internet connection. 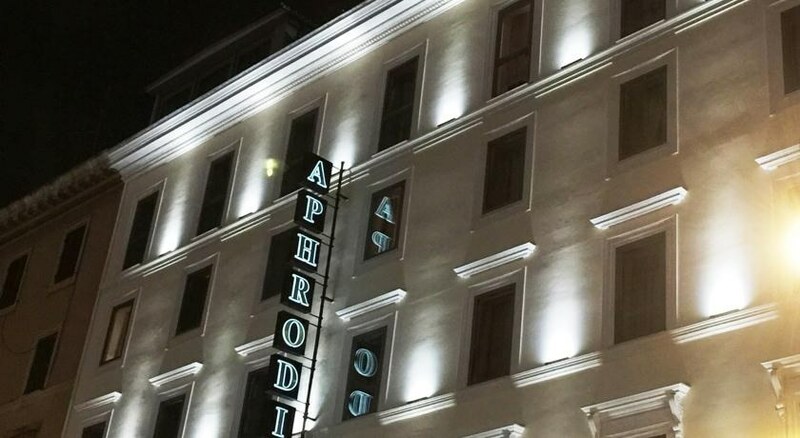 The Hotel "Aphrodite" is a modern hotel in the heart of the capital of Lazio. The hotel rooms enriched with LCD TV, air conditioning and heating, mini bar, electronic safe, direct dial telephone and wireless Internet access.